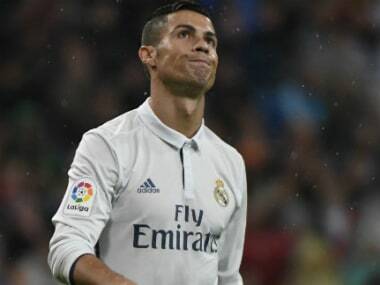 Madrid: Real Madrid are hoping Cristiano Ronaldo can end a lean period in front of goal as they attempt to keep their noses in front of a tight five-way race atop La Liga at Alaves on Saturday. Ronaldo was even whistled by Real's demanding fanbase at the Santiago Bernabeu during last weekend's 2-1 win over Athletic Bilbao. 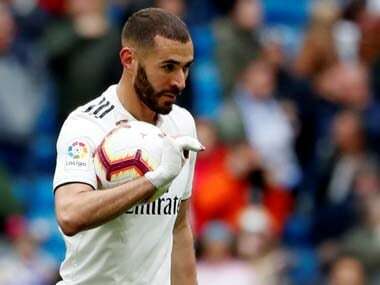 "I would prefer him to score two or three goals in every match, but I am not worried because I know it will pass," said Real boss Zinedine Zidane. 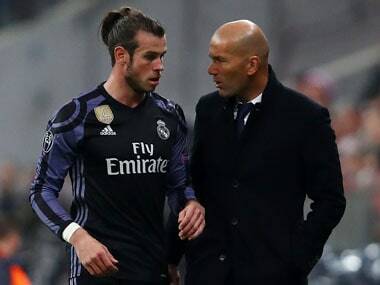 Yet, despite still being frozen out Zidane's preferred starting line-up by Ronaldo, Gareth Bale and Karim Benzema, Morata insists the Portuguese should be cut some slack. "When one is used to scoring nearly 70 goals a season they are like goal addicts," said Morata. "For us he is still the most important player in the team and we hope he scores lots of goals, but he is not a machine. "He is human, although it seems like he comes from a different planet, and he has the right to miss." 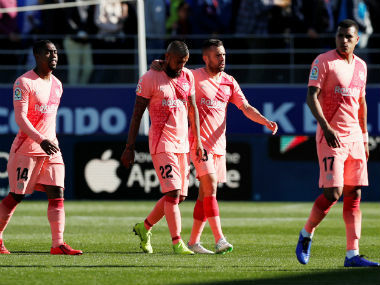 Yet former Valencia and Liverpool defender Mauricio Pellegrino's men have already proved they are more than capable of causing an upset as they shocked Barcelona at the Camp Nou last month and drew away to Atletico Madrid on the opening day of the season. Sevilla are Real's surprise closest challengers and can go top for at least a couple of hours with victory at Sporting Gijon earlier on Saturday. "We won't be jumping for joy right now. The team are performing well, but aspiring to win La Liga is a big ask," said Sevilla winger Vitolo. "Everyone knows there are three teams that have that aspiration and there is still a long way to go." However, by contrast to Ronaldo's struggles, Lionel Messi is in fine goalscoring form as he and Luis Suarez lead La Liga's scoring charts on seven despite the Argentine missing a month of action due to a groin injury.